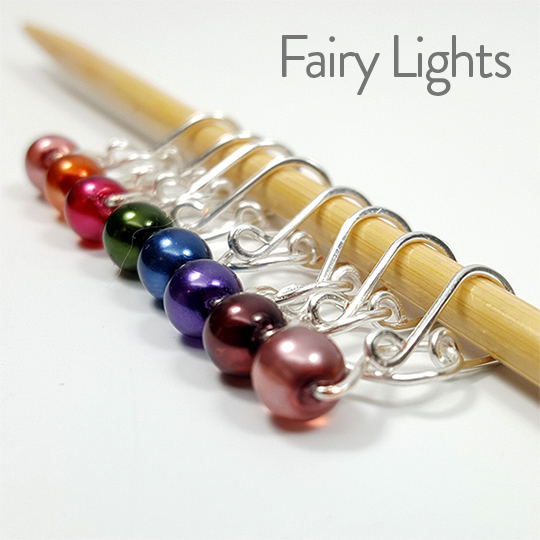 Our Melody Ring locking stitch markers are the perfect stitch markers for any project. Their unique removable style makes them perfect for crocheters and knitters alike. Hook them on your work to mark a stitch, place them on your needles, or mark the beginning of a row, these little beauties can do it all. Best of all, they are removable, meaning you’ll never accidentally knit your markers in with your lifeline again! I have a set of these in the Fairy Lights and I love them! They are smooth and really dress up my project!. Please bring the FL colorway back.